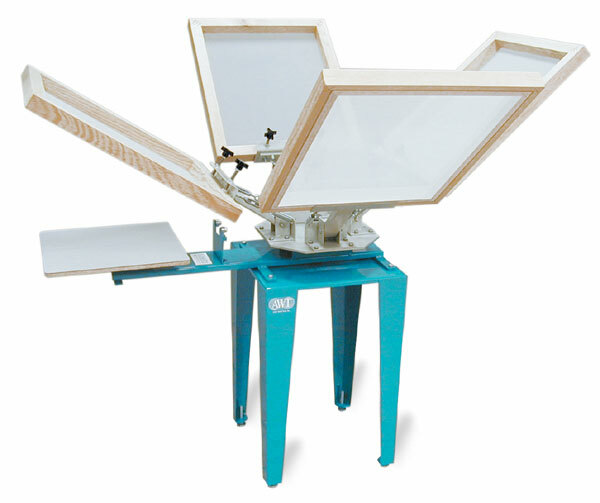 This floor model printer features a rugged all-metal design with study legs and a solid wood pallet. Available in 1-color and 4-color models, these printers are great for T-shirts and similar items. Simple to set up and use, the spring tension and screen holder arm adjustment allow for the right printing head control at all times. The 4-color unit has a steel bearing lock-in registration system that assures precise 4-color printing. Screens are not included.